"Enlisting the help of a three piece string ensemble, Hudson has found the vehicle to make his complex arrangements come to life. In an Ocean of Sacrifice is a wonderful display of musicianship, from writing, performance, arrangement, and production". 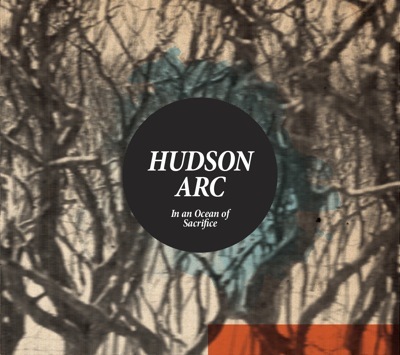 Hudson Arc use diverse and broad brushstrokes in their musical arrangements, one moment they journey through beguiling lilting sounds that create a peaceful, reflective atmosphere and the next, a blood-pumping crescendo that makes you remember you are alive! It is evident this four-piece, who hail from Newcastle (Australia) are all classically trained musicians, and that they like thinking outside of the square in their compositions. 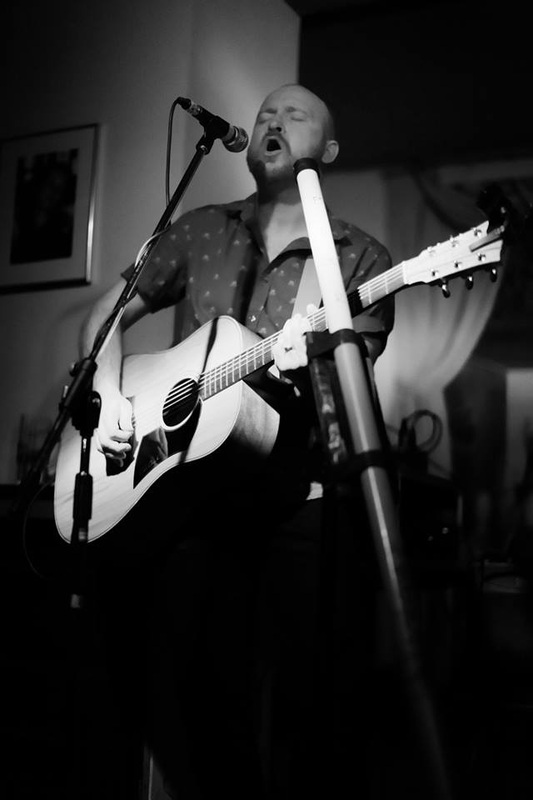 Hudson Arc is the brainchild of musician/composer/producer Gareth Hudson, who comes with an impressive career behind him producing award-winning artists including The Buddy Knox Blues Band, Amy Vee and Auriel Andrew. He has also recorded and written arrangements for artists including The Hilltop Hoods, The Last Kinection, Briggs and The Beards. 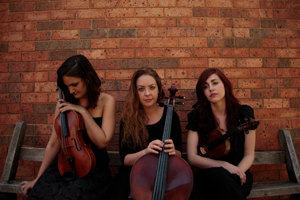 Hudson teams up with gifted string trio Ensemble Arc consisting of Tadijana Ilicic (violin), Jamie Pollock (viola) and Rachel Pogson (cello). The end result is a marriage of intricate string layers, driving rhythms and intense dynamics created by Hudson’s technique of looping vocals, percussion, didgeridoo and acoustic guitar at live performances. 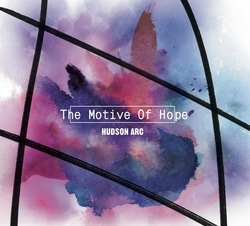 Hudson Arc's debut album In An Ocean Of Sacrifice was released in March 2012, and was featured on ABC radio stations around Australia including performances live to air in Sydney, Melbourne (Radio National) and Newcastle. The album also featured on many community radio playlists around Australia where it is still receiving airplay. After successful tours of Australian cities including Melbourne, Sydney, Katoomba, Newcastle, Canberra and Adelaide, the band moved to Europe to perform and promote the album. 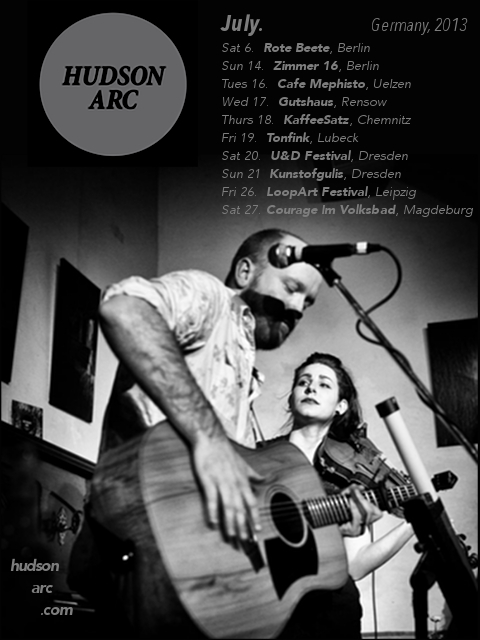 Performing in Europe as a duo with Tadijana ilicic on electric violin, Hudson Arc have performed cities around Germany, Slovakia, The Czech Republic, The UK and France. They will complete a final German tour in July 2013 before returning back to Australia to record their second album, due for release in March 2014. I think I’d like to marry a pirate, for a year or two, just to see what it’s like. Now just when you think yet another standard album of caramelised folk has tickled your ear holes, midway through Hudson Arc’s first track,Prologue, the sound erupts into a battle of the Pirates Of The Caribbean. I just wanna poke and prod my silver sword around, shoot down a few Wendy Birds and go on a swashbuckling hunt with The Lost Boys. It appears as though Hudson Arc have prepared the perfect soundtrack for Peter Pan and Tiger Lily’s wedding, like a pirate ballroom. The vocals have a very distinct punk feel, but being placed against hectic banjo and fingerpicked guitar riffs allows the sounds to somehow complement one another. Then, just as you think you’ve understood the workings of their sound, these bizarre moments of didgeridoo and electronic business get thrown into the mix, just to shake it up a bit. Even more bizarre is the fact that this actually works! These kids have created an entirely new genre on their own – let’s call it Pirate Punk Folk – which takes your standard folk and going all pirate on its arse. Shiver me timbers.